In this series, we explore three simple steps you can take right away to start growing your business intentionally. This post is part three in the series (find parts one and two here). Let’s say you’ve set your goals, taken steps toward investing in your business, and you’re starting to see some more profit rolling in. That’s great, but what’s next? Depending on your industry, there may be only so much potential you can develop from a single location. There are only so many customers within a local market, obviously. If your growth seems too slow, it may be time to look into your expansion options. There are a few different ways that you can go about expansion. With a remodel to your existing storefront, you can add new products and perhaps attract new customers as well, giving you additional potential for growth while maintaining the same familiar location. You can also expand into new markets, opening additional storefronts and possibly giving current employees a chance to move into management positions as a result. While this increases costs, it can also result in a major boost to overall profits since you’ll have growth opportunities in multiple markets instead of just one. If you don’t have much of an internet presence, branching out into e-commerce can also provide room for expansion. This gives you access to potential customers all around the world, though it also puts you in competition with other online storefronts. Provided that your marketing team is well-versed in digital advertising (or you’re willing to hire someone who is), there’s still plenty of room for online success. Even if you don’t want to go all-in on e-commerce or online sales, you may be able to offer your products on sites like Amazon as a means of expansion. You’ll likely have to share a cut of your profits with the platforms you choose, but it does give you access to established audiences that might be difficult to develop on your own. Using cloud-based software for operations and customer service. Leveraging cloud-based tools to keep everything in sync and provide access from anywhere eliminates a lot of the delays and confusion that often come with growing businesses. Establishing written documentation of your processes for employee training. You’ll have better control over the quality of your product or service if you have your processes established in writing. This also helps maintain consistency across locations as you grow. If this information lives in your head, you’ll stretch yourself too thin trying to communicate it across your organization. Try automation. Automation can help business owners get off the multi-tasking treadmill. There are automation solutions for just about every corner of your business — from email marketing and social media posting to appointment scheduling and reminders (that’s what we do at AppointmentReminder.com). 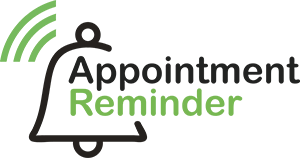 On the topic of automation, one last thing: Appointment Reminder sends automatic text (SMS), email, and voicemail reminders to your clients so you can free up your time for more important tasks — like growing your business. Grab a free trial today and see for yourself how much it can help retain clients and grow revenue!